With 12 kilometers of docks, Antwerp is Europe’s second largest shipping port, serving 15,000 sea trade ships and 60,000 inland barges each year. The new Port House in Antwerp repurposes, renovates, and extends a derelict fire station into a new headquarters for the port—bringing together the port’s 500 staff members that previously worked in separate buildings around the city. The facade’s rippling quality is generated with flat facets to the south that gradually become more three-dimensional towards to the north. 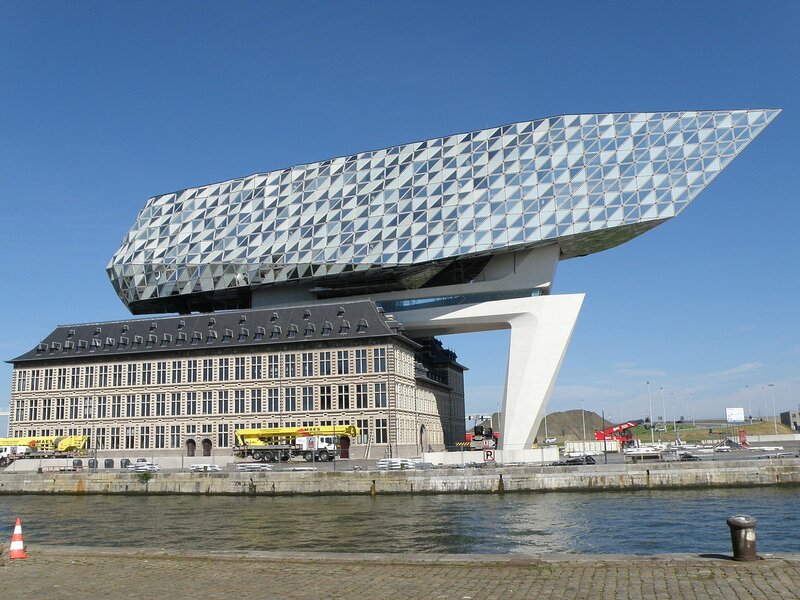 This perception of a transparent volume, cut to give the new building its sparkling appearance, reinterprets Antwerp’s moniker as the city of diamonds.